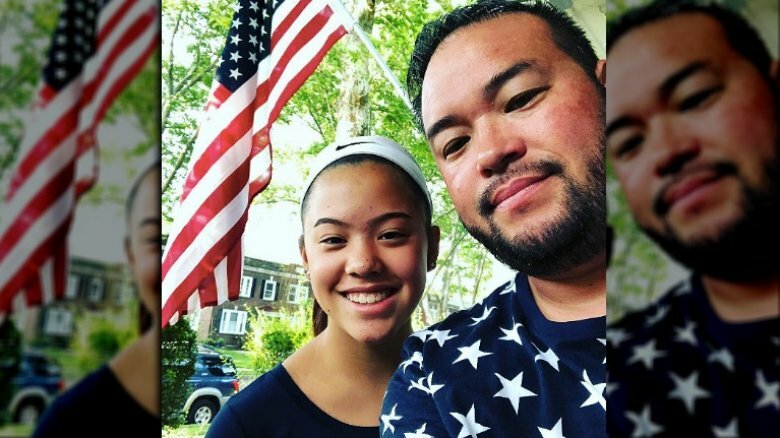 Jon & Kate Plus 8 alum Jon Gosselin surprised some fans in November 2018, when news broke that he filed for custody of his son Collin Gosseli. Although Jon didn't release a statement at the time of the filing, court docs obtained by Radar Online revealed the dad of eight believes it's in Collin's best interest to live with him as opposed to his ex-wife, Kate Gosselin. Apparently, Jon filed the custody docs on Oct. 24, 2018, because Collin is set to transition out of the inpatient facility he first entered in 2016. 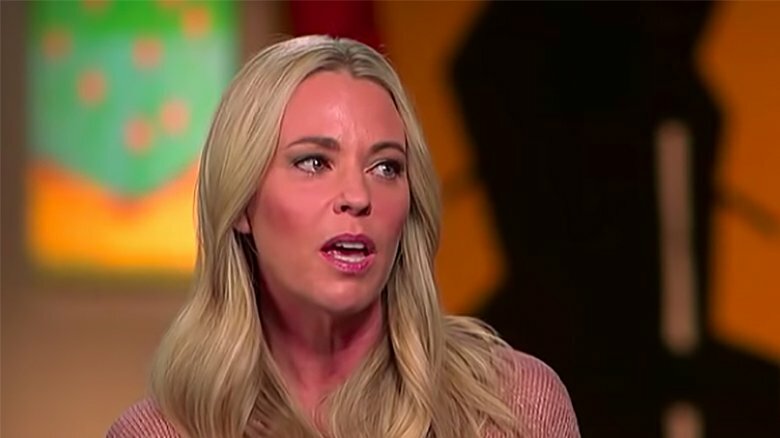 Kate Plus 8 viewers may recall that Kate placed Collin in a treatment program for his unspecified special needs diagnosis, a development she opened up about in an interview with People. "Collin has special needs," she shared. "[There's] a fairly fluid diagnosis of what those needs are, but he needs to learn certain strategies to help him deal with things. This has been a struggle we've had for a very long time, and it's one I've dealt with on my own." If you have questions about Jon's custody bid, there's a good chance you're not alone. There's some confusion surrounding many aspects of the case, especially regarding why Jon waited years to seek custody of Collin. So, what's really going on here? 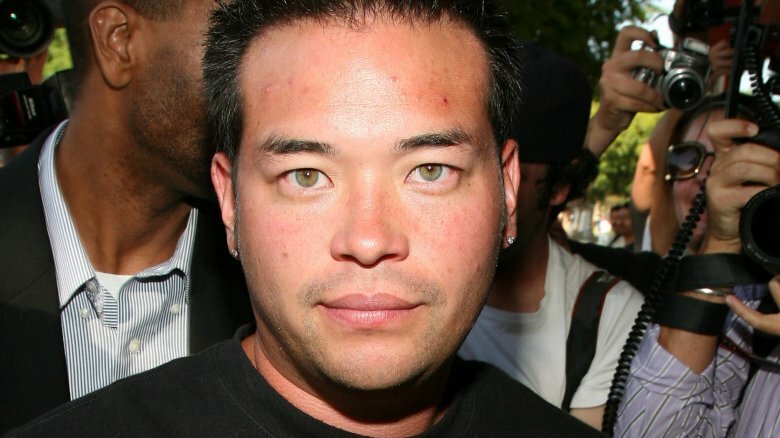 This is the real reason Jon Gosselin filed for custody of Collin Gosselin. 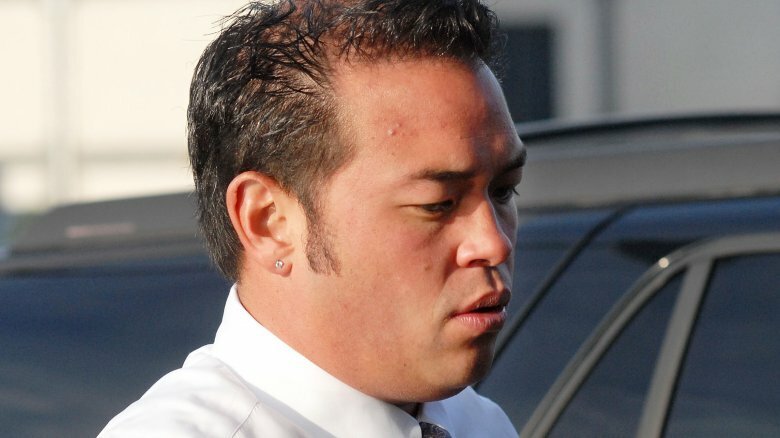 Shortly after Jon Gosselin filed for custody, he took to E! News to reveal a startling fact about his relationship with Collin Gosselin. "Collin came up for the weekend," Jon told the outlet on Monday, Nov. 5. "It was his first visit in three years. He stayed with me." Three years? It's pretty heart-wrenching to think that Jon hasn't been able to see his son outside of a treatment facility for that long. And considering that Jon has missed out on years of quality time with Collin, it makes sense that he's going after custody — what better way to make up for lost time, right? If Jon doesn't succeed in his custody bid, there's a good chance he won't give up on his relationship with Collin. 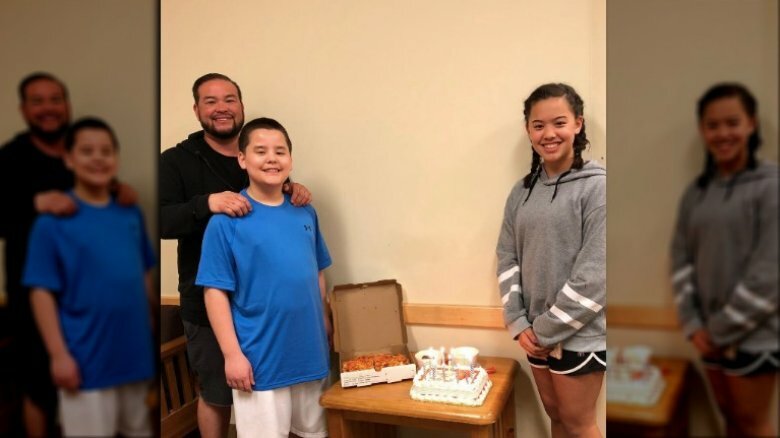 Case in point: Jon went out of his way to celebrate Collin's 14th birthday in May 2018, setting up a small party at his treatment facility. "Glad I could celebrate my son Collin's 14th birthday with him and his sister!" the dad captioned an Instagram shot of a smiling Collin posing alongside a table displaying cake and pizza. Aww. 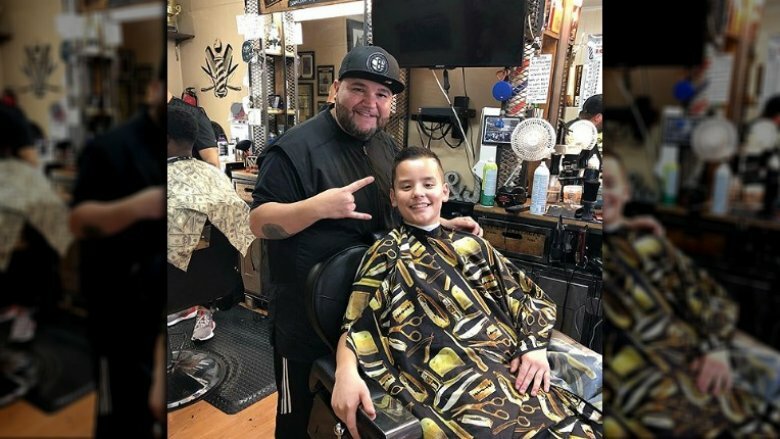 During Collin's weekend home with Jon in November 2018, he supposedly told Jon's friend and barber — Eric Rodriguez — that he's thrilled about possibly attending public school one day. "I asked him if he was excited about going to regular school and he said, yeah he's super excited about it," Rodriguez told Radar Online. "He just said he didn't like his other school that he was in before that facility, the one that Kate had him in." Considering Collin's sister Hannah reportedly attends a local high school, it's likely Jon would want to grant Collin this same opportunity. And while it's unclear what Kate's thoughts are about Collin's post-treatment schooling, she seems to prefer private schools. School stuff aside, Rodriguez added in the interview that Collin is amped to come home. "I can definitely tell that he can't wait to come home," he shared. "I don't think he really likes the place." Collin reportedly entered a new inpatient facility in the years prior to Jon's custody filing, a change that reportedly did him a world of good. A source told Us Weekly that Collin is "thriving," and that the kiddo's support team is top-notch. "They work closely with Jon and really do care about Collin," the insider added. Jon's friend Eric Rodriguez echoed the source's sentiment, telling Radar Online that Collin is a "really nice kid — very respectful." Rodriguez also complimented the former reality star's smile, saying, "Oh my god. His smile. Honestly, his smile was unbelievable." Given Collin's reported success, it sounds like an opportune time for Jon to seek custody. That said, however, there's no telling how Collin will adapt to life at home when he's released from the inpatient treatment facility. Fans can only hope he acclimates well, whether he's with Kate or Jon. It's possible Jon decided to seek custody due to the legal success he reportedly had with his daughter Hannah. Likely to Kate's chagrin, Hannah has lived with Jon full-time since April 2018, a fact he confirmed in an Instagram Live video. "Hannah lives full time with Jon and they are always out and about together in his hometown of Reading, PA," a source shared with Hollywood Life. "The details of his custody arrangement with Kate are top secret though. No one but Kate and Jon and their lawyers know the specifics." Although an insider close to Kate denied the development to People, court docs suggest otherwise. Once a judge granted Hannah permission to live with Jon, Kate filed an appeal on May 4, 2018, as reported by Radar Online. Kate also reportedly tried her hand with the county's superior court, but the presiding judge threw her motion out because she waited too long to file her appeal. Given Jon's big win, it's reasonable to assume he feels confident about his chances with Collin. 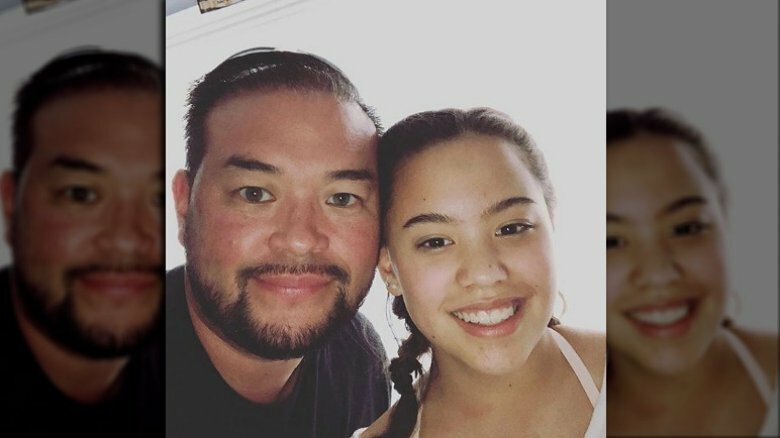 One of the things Jon Gosselin has always been outspoken about is his worry that Kate uses their kids as "props." Jon drew attention to this fear in January 2014, arguing, according to E! News, "She uses them as her props. It's a problem for her that she can't afford our old lifestyle anymore. It's so unfair to them." He continued, "I work really hard to keep my kids safe and then she just goes and tweets about them all the time. I don't have a Twitter anymore and even when I did, I never tweeted about my kids. I kept their lives private." 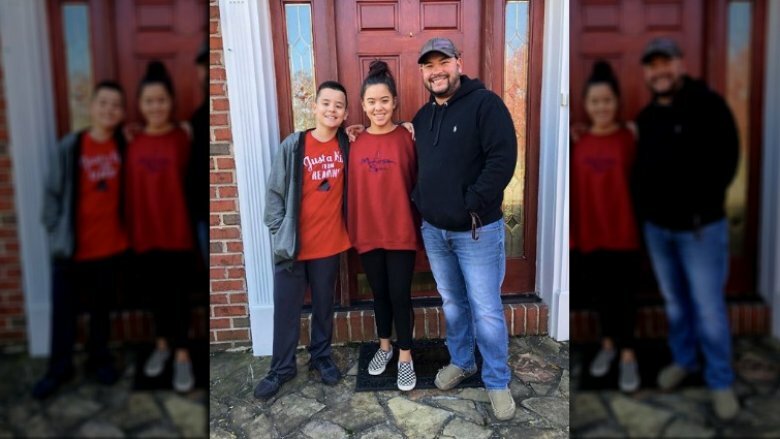 While some of Jon's kids would probably disagree with this assessment — especially twins Cara and Mady, with whom he is estranged — it's possible the dad is legitimately concerned that Collin could be taken advantage of once he's released from his inpatient facility. A TLC special about Collin would likely draw in a lot of viewers, after all. Either way, it's clear Jon and Kate won't see eye to eye anytime soon. A troubling rumor about Kate and her relationship with Collin surfaced in 2016, when a source told Life & Style that Collin supposedly confided in a staffer at his inpatient facility about alleged abuse by his mom. "Collin said something to the facility's staff and it was reported to Children and Youth Services [CYS], which started an official probe," the insider said. At the time, Jon reportedly expressed concern about the allegation even though Kate denied any wrongdoing. "Jon used to have to grab Kate by her wrist to stop her from beating Collin and some of the other kids with a wooden spoon," a source once told the Daily Mail. Although this supposed probe occurred years ago, it's possible Jon still has lingering concerns about Kate's parenting. Adding fuel to this fire? Kate and Collin reportedly don't get along. "Collin is very intelligent. He was always questioning Kate and talking back," a source claimed to Us Weekly. "Kate doesn't like that." Yikes. Trying to get under Kate's skin? One of the darker possibilities about Jon's custody bid concerns Kate and his supposed desire to get under her skin, a seemingly easy thing to do. A source touched on this sentiment in an interview with Hollywood Life, telling the outlet that Kate was "furious" over Jon's November 2018 photos with Collin. "She feels like he was posting just to make her mad and it worked," the source said. "Kate hates not being in control of the kids and she cannot stand to see Jon with Collin." Hmm. Could Jon be taking advantage of his relationship with Collin to get back at Kate? We certainly hope not. The insider elaborated on this possibility, saying, "As the kids are getting older, they can see how their mom can be — She's bossy, controlling and extremely hard to tolerate, so it's not a surprise that Collin wants to now have a closer relationship with his dad." The source added, "The kids are definitely starting to choose sides now that they are older, and this latest move infuriates Kate." It's easy to take sides in a custody battle, which fans have definitely done in the case of Jon vs. Kate. Almost every time Jon posts a photo with Collin, fans take to the post's comments section to encourage their relationship and support his bid for custody. And now that Jon is also sharing more photos with Hannah — who lives with him — many people are rooting for the dad to bring Collin home to his house — not Kate's. "I hope you get custody of Collin too," one fan commented on an Instagram photo of Hannah and Jon. "I love seeing pictures of you and Hannah.. God bless you both," another person added. "Please try to get Collin, he needs you the most…. Good luck." Beneath an August 2018 photo of Hannah, one fan said, "Hannah looks so happy to be 'free.' I'm hoping Collin becomes a permanent resident of your home too. 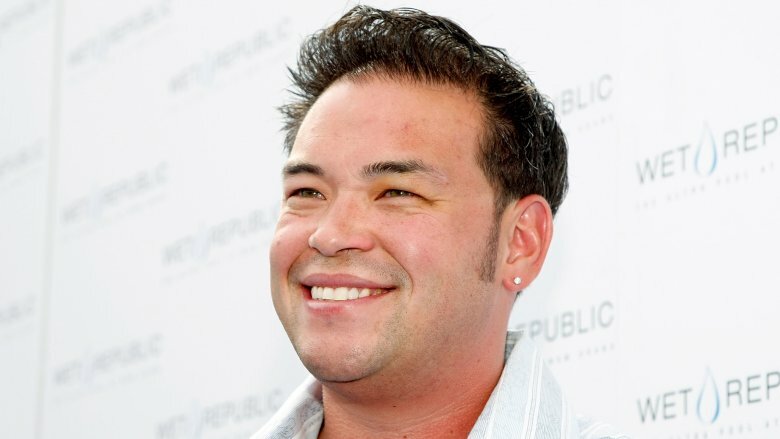 Respect to you, @jongosselin1." Obviously, Kate has supporters in her corner too. But we can't help but think Jon feels emboldened by all of the public support. One potential reason why Jon is going after custody? He might be upset by Kate's supposedly cold attitude towards Collin. Everything came to a head in October 2017, when Kate shared a Halloween photo of the kids sans Collin. "The way Kate is handling things with Collin breaks Jon's heart but he has no say," a source told Hollywood Life. "She controls everything, it's her way or the highway when it comes to the kids, including Collin. When he saw that Kate left Collin out of Halloween, that his son was missing yet another family celebration Jon broke down and cried. He hates that she's doing this to Collin and feels so helpless to stop her." It's important to note, however, that Kate might have excluded Collin for privacy reasons. But, if there is any truth to Jon's concerns, it's reasonable that he'd want to get full custody of Collin. 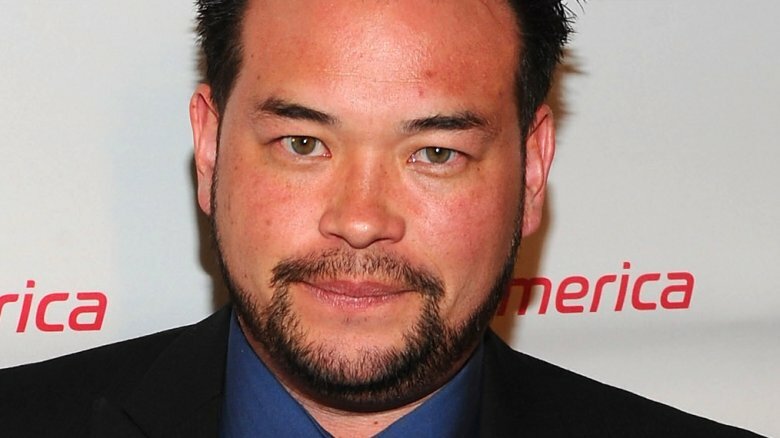 Not many fans may remember Jon Gosselin's initial custody bid for Hannah in 2015. As for the reasoning behind the motion? Hannah supposedly felt "uncomfortable" at Kate's house. "Jon is filing for custody because Hannah has expressed she is unhappy and uncomfortable in the house with Kate [Gosselin]," a source told E! News at the time. The source went on say that Jon would love to have custody of all of his children, stating, "In a perfect world, Jon would take all the kids, but he's not in a position to. For now, he's at least trying to help Hannah. Out of all the children, she's the one voicing her discomfort." Although Hannah has never released a public statement about life with Kate, it seemed to be pretty telling when she moved in with Jon in 2018. And if Hannah doesn't enjoy living at Kate's house, it's reasonable to assume that her brother Collin Gosselin might not enjoy it either.